Successful movie-themed attractions (stage shows or rides) create an atmosphere that is often built upon a foundation consisting of confrontation and direct simulation rather than long, sustained narratives. Whether watching a show on a stage or experiencing a ride-like attraction, the park guest is subjected to a series of physical and/or emotional shocks throughout the abridged narrative. Physical movement is also a strong element in an effective and successful movie-themed attraction design. This creates the illusion that the audience member is not only watching the action or horror take place, but part of the story as well. Implementing the use of special effects such as lighting effect or water also improve the guest experience by bringing the narrative to life. In the contemporary theme park model, designers seek to create a relationship between the narrative and the audience (or park guest); this is what Geoff King (2000) refers to as “the cinema of attractions.” The park guests want to be transported from a world in which they are spectators to a world in which they are participants in the story. But, themed entertainment has come a long way from its inception into modern society. How the film theme has been fused with theme park attraction design has evolved over the decades to create the convergence and synergy that exists today. This is mostly due to the understanding of spectacle versus narrative. Although these two elements work seamlessly together in a themed attraction, they are not synonymous with one another. An excellent example of a horror/action film that is both spectacle and narrative, and furthermore, is both a film and a ride is Jurassic Park. A similar example of the infusion of the aforementioned is Jaws. Just as the use of digital special effects (or visual effects) has evolved in film, the use has also evolved in theme parks. Digital (or visual) effects is a broad term, as it covers a range of possibilities that include computer-based or computer-generated effects (Wood, 2002). The “spectacle” of film and theme park rides possesses the ability to transform the narrative, thus adding an extra dimension to the story progression. However, ultimately within the full-spectrum of the elements that make up a film or ride based on a movie, spectacle is subordinate to narrative. Spectacle is needed to dazzle and simulate, but is essentially lifeless without the narrative. (Wood, 2002). Unlike a narrative, which can have great depth, spectacle “is often understood as a particular kind of extended special dimension…depthless, or as having an excess of surface…more image-full than mise-en-scene (meeze-on-syn) everything that appears before the camera and its arrangement, composition, blocking, and lighting] as it accumulates ever more details” (Wood, 2002, 373). Spectacle should never be relied upon to carry a narrative, but should be considered a useful tool in enhancing the visceral experience of the narrative. Spectacle possesses the ability to be used to create a dynamic time and space through which the narrative expands and can sometimes be manipulated (Wood, 2002). Digital effects can be used to advance the story or comment on the relationship between characters and their respective environments. In terms of theme park attractions, specifically those based on movies, adding spectacle to the narrative of the ride serves to enhance the overall experience of the park guest. The use of spectacle enables the settings, events, and characters to come to life for the park guests experiencing the live movie-based narrative. 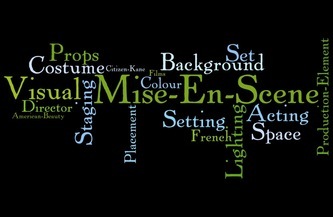 Effectively used, the guests should feel as though they get transported from the real world to the world of the movie. Theme parks offer escapes from reality; this is also true of most movies. So, by utilizing the tangible benefits of both narrative and spectacle, the designers are successful in creating the illusion that the guest is either witnessing or part of the story. University of Central Florida professor Andy Milman (2001) further explores this relationship between cinema and theme parks in his writings in the Journal of Tourism (2001). 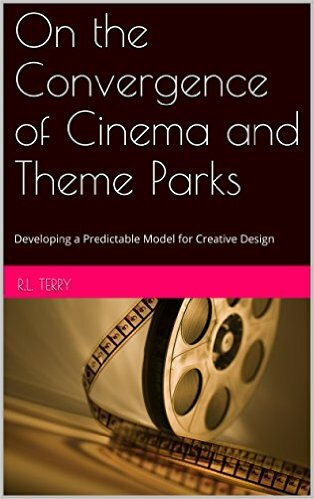 Exploring the infrastructure of the movies, theme parks, and the convergence of the two is a complex research area that is increasingly becoming more important as the movie studios turn to theme parks for revenue, and the theme parks depend on the movie studios for creative direction and expansive guest experiences. In the article Movie Induced Tourism, authors Roger Riley, Dwayne Baker, and Carlton S. Van Doren (1998) explain that movies provide both the objective and subjective material that capture peoples’ gaze and influence them to travel to the places depicted in movies. 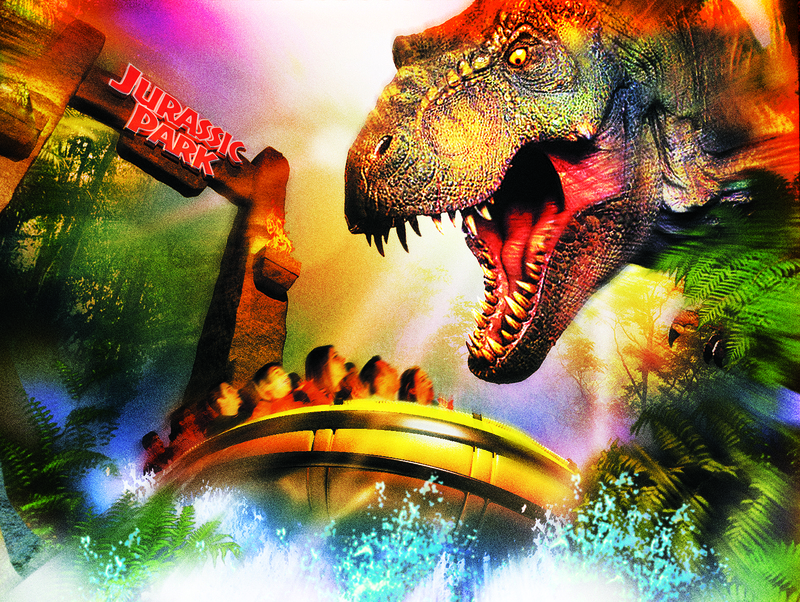 The concept of traveling to locations where movies were made has a direct relationship with the concept of designing theme parks based on movies and showcasing the magic behind the movies (Riley et al, 1998). This concept can be seen in some of the most visited parks in the world. One of the goals of a studio like Warner Bros. is to get the fans of the Harry Potter books and movies to the Wizarding World of Harry Potter at Universal Studios Florida; and, by way of the flip side of the coin, one of the goals of the theme parks (mainly Disney and Universal) is to turn park guests into movie audience patrons (Milman, 2001). You can always find out what you missed by buying my book on Amazon!